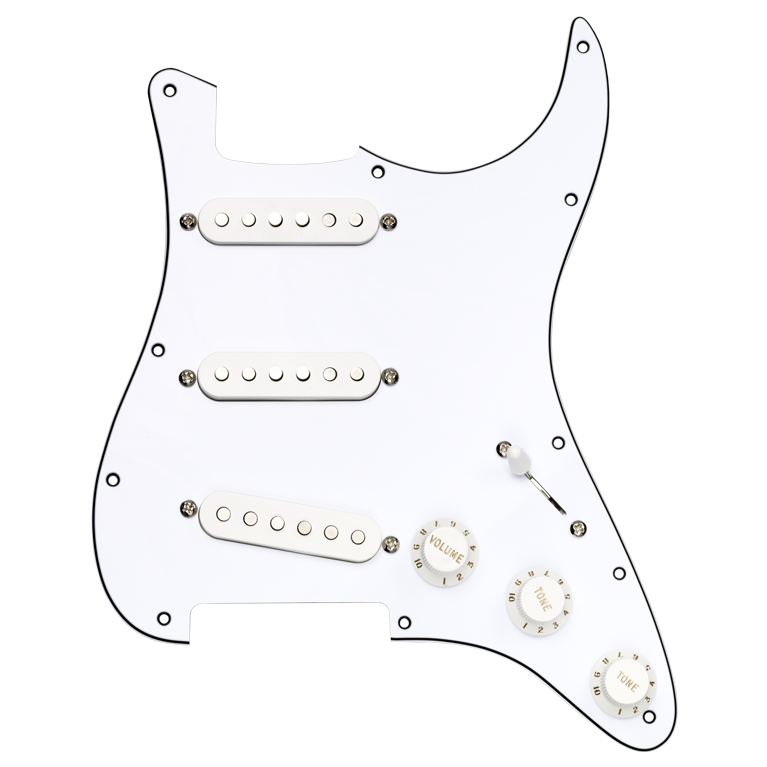 The Area™ Strat® Replacement Pickguard features solderless connectors for easy installation in any guitar with a standard 11-hole pickguard. The pickup configuration for the Area™ Pickguard is an Area 58™ neck / Area 67™ middle / Area 61™ bridge combination for great vintage sounds with no hum. The Area ‘58™ offers excellent treble response and dynamics with low magnet-pull and the warm, woody tone of late-50s single-coils. In the middle position, the Area ‘67™ pushes sounds like the single-coil pickups of the late ‘60s—bright and very clean, with reduced magnet pull for improved sustain, clarity, and enhanced quack in the 2 and 4 positions. Finally, the Area ‘61™ in the bridge position brings a steely but warm sound to the table. As with the other two pickups, the Area ‘61™ eliminates hum and features reduced magnet pull. Combined in the Area™ Strat Replacement Pickguard, these 3 pickups create a unique and undeniably vintage tone.